You can also find Newcastle Hypnotherapy in Seaton Delaval. At our Seaton Delaval location, we enjoy a comfortable, quiet space that is perfect for hypnosis and NLP sessions. There is always plenty of parking available and we can offer sessions during the day, evening and weekends. Newcastle Hypnotherapy offers Clinical Hypnosis Services along with NLP to help clients with a wide range of problems. We specialize in hypnosis for Anxiety, Stress, Depression, Self-confidence, Pain, habits, behaviours and many other issues. Visit our Main Page for more information on the issues hypnosis and NLP can help with. How to find Newcastle Hypnotherapy in Seaton Delaval? Newcastle Hypnotherapy is easy to find at 28 Astley Road, Seaton Delaval, Whitley Bay, Newcastle upon Tyne. NE25 0DG. We are located above Food For Thought, the popular health food store and next door to Seaton Valley Council. Earlier and later hypnosis appointments can be arranged on request. 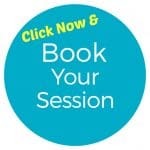 Call 07568 455 809 to arrange your free strategy session or see below to book online. Booking a session at Newcastle Hypnotherapy in Seaton Delaval is easy. You can book by phone or book online. Alternatively, you can call Mark at Newcastle Hypnotherapy on 07568 455 809. Newcastle Hypnotherapy Events & Workshops. Yes, we run regular events and workshops from various locations in the North East. These include Self-Hypnosis, Personal Development, EFT, NLP, Tapping, Modelling, Meditation, Mindfulness and more. We also run workshops for Anxiety, Stress, Depression, Confidence, Pain Management & more. For details of these events simply join our email newsletter below. Your privacy is always safe and important to us. You may unsubscribe from the events newsletter at any time using the link in each email. Hypnotherapy near me. Is this the only location for Newcastle Hypnotherapy? We also practice Hypnosis and other services in Wallsend, Newcastle upon Tyne, Cramlington & Bedlington, Northumberland. We can usually find a location suitable for you. Simply ask when you Contact Us. Do you offer home visits for Hypnotherapy Services? Yes, we can offer home visits if you are unable to come to us. Simply ask when you Contact Us. Are Online Hypnotherapy Sessions as effective as face to face appointments? In many situations yes. Online hypnosis sessions are becoming very popular using video software. For certain problems and issues, clients can certainly experience the same positive benefits as face to face hypnotherapy. Can you arrange a talk or demonstration for clubs, schools, organisations, charities and companies? Certainly. We regularly attend events to give talks regarding hypnosis and NLP to explain how it can help. We can provide talks and workshops for a very large range of subjects and health issues. These can be tailored to your needs and for small or large numbers of people. Simply ask when you Contact Us. Do you offer therapy for children? Of course. Many of our hypnosis therapies are suitable for everyone and we also have a team member who is a trained expert in child issues. Simply ask about this when you Contact Us. How long will my hypnosis session last? Usually, a hypnotherapy or NLP appointment will take an hour to an hour and a half. We can advise better during your free strategy session or when making your booking. How many hypnosis or NLP sessions will I need? This will vary on your issue and what you would like as an outcome. We can discuss this better when we talk. For most issues, 2 sessions are enough and if required we can add in extra hypnosis sessions as required. I have not experienced hypnosis before, what is it like? Hypnosis is a very relaxed state, very different to sleep. Our clients say they are fully alert during their hypnosis session and they remember everything in full detail. Hypnosis or trance should be a wonderful, relaxed feeling, rather like daydreaming. Feel free to ask about this during your free strategy session. Hypnosis works for most people and provides good results for most people. However, hypnotherapy is not always the best route for every client or always the best route for every issue. The good news is that we have many alternatives we can use. 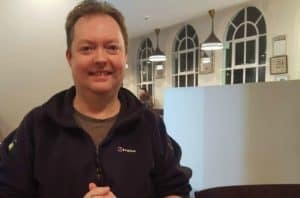 NLP, EFT and other modern techniques can also provide positive benefits when required. How can I learn Self-Hypnosis? Yes. We do teach Self-Hypnosis Skills in our regular workshops and events. Self-Hypnosis is easy to learn and a great way to control your states, reducing stress and anxiety. We also teach self-hypnosis as part of your one to one sessions and through The Wednesday Workshops. How quickly can I arrange my hypnotherapy appointment? At most times we can arrange an appointment within a few days and if urgent we may be able to see you sooner. The fastest way to arrange your hypnotherapy appointment is to contact us or to give Mark a call on 07568 455 809. How much are my hypnotherapy sessions? You can find our current rates for hypnosis and NLP when booking your session here. You may also access discounts when booking more than one hypnosis session. 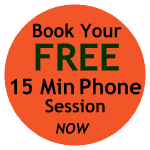 Do remember we offer everyone a free 15 min phone strategy session to look at your issue and the best way forward for you, without obligation. How quickly will I see results with hypnotherapy and NLP? Everyone is different and results can vary. As a general rule most clients experience benefits within a few days of their first hypnosis session with a great improvement over the following weeks. Some clients find great results straight after their first hypnosis or NLP session with others taking a little longer. Usually, we will give you some homework to increase your results as quickly as possible. You can also learn about our regular events and workshops by joining our newsletter above.